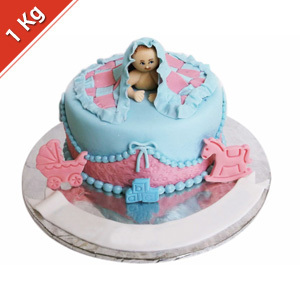 Delight the proud parents in all cities in India who have just been blessed with a little bundle of joy, with this eggless variety Baby Shower Cake from Krazy for Chocolates, a branded name from Kolkata Bakeries. 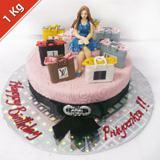 The cake is decorated with an infant try to sneak peek from under the blanket, a perambulator, rocking horse and alphabets. 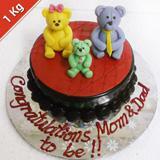 The beautiful color combination of sky blue and pink suggests the fact that this cake can be send to your loved ones in Kolkata, to celebrate the birth of both the male as well as the female child. 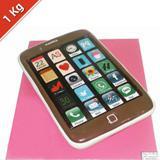 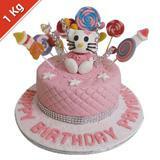 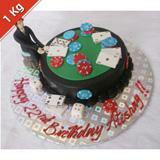 Through the trusted online gifting portal GiftsAcrossIndia.com, you can easily send this cake as Gifts across India.